Award in Medical Science. The Lasker-Koshland is a lifetime achievement award for scientific research and for scientific leadership. Alberts qualifies on a multitude of fronts. He has been a professor of biochemistry for 41 years at the University of California, San Francisco (UCSF), the editor-in-chief of Science (2008–2013), the president of the National Academy of Sciences (1993–2005), and the lead author of the ubiquitous textbook Molecular Biology of the Cell, first published in 1983 and now in its sixth edition. He was a presidentially appointed U.S. Science Envoy from 2009 to 2011, representing the U.S. State Department worldwide on scientific issues. For younger scientists who chiefly know Alberts as the first name on their textbook, his CV is an eye opener. At last count, he holds 18 honorary doctorates, is an honorary member or fellow in 12 foreign science academies, is a commander in the Order of the British Empire, and won the U.S. National Medal of Science in 2014. For his DNA replication work, he won the Canada Gairdner International Award in 1995. Current ASCB President Peter Walter with Keith Yamamoto, a former editor-in-chief of the ASCB journal Molecular Biology of the Cell, hailed Alberts’ commitment to lab science, education, and science policy.1 “With his fertile scientific intellect and stellar research contributions, his deep commitment to essential science education, and a remarkable clarity of vision for policies and practices that would advance or improve both research and education, Bruce juggled a daunting blend of research, education, and administrative responsibilities for over two decades,” they said. Alberts was the moving force behind the founding of the Science and Health Education Partnership between UCSF and the San Francisco Unified School District in 1987. Known as SEP, for 30 years the program has been sending UCSF grad student and postdoc volunteers into city schools where they present exciting science demonstrations while showing kids what living scientists look like and what they do. In turn, SEP has brought talented San Francisco high schoolers into UCSF labs as interns. As an ASCB member, Alberts was a strong advocate for the Society to become an active force in the science education revolution, supporting the founding of a new ASCB journal devoted to using scientific methods to dissect science education, now called CBE—Life Sciences Education (LSE). Alberts still serves on the LSE Editorial Board, where he was a charter member in 2001. 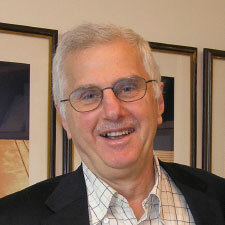 In 2008, the ASCB created the Bruce Alberts Award for Excellence in Science Education in his honor.3 Besides his 2008 term as President of ASCB, which he first joined in 1991, Alberts has served on virtually every ASCB committee from Local Arrangements to Council to the E.B. Wilson Medal selection committee. 1Walter P, Yamamoto KR (in press). Science as a way of knowing: from protein machines to evidence-based decisions. Cell. doi: 10.1016/j.cell.2016.08.049.